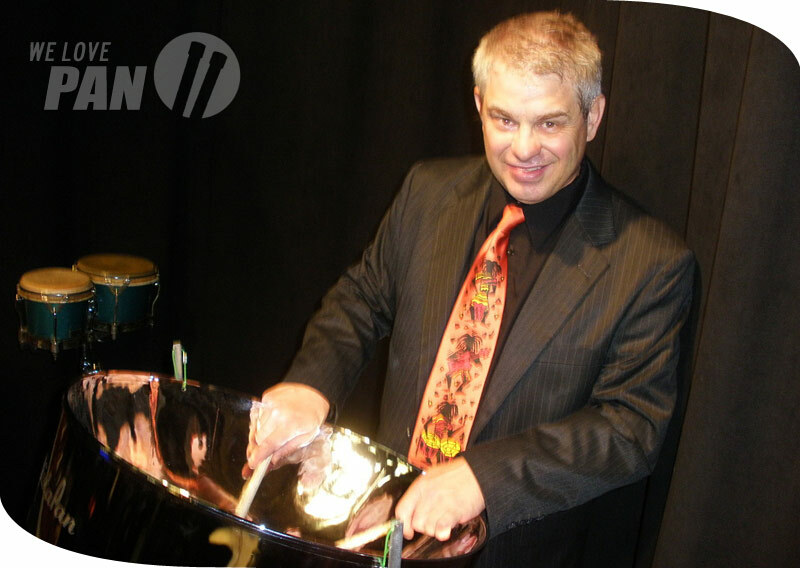 John Skoczen is International Sales Representative for VistaPan, but is also an active steel pan musician. He currently performs on his VistaPan Artist Supreme Lead and Double Tenor steel pans primarily in Houston, San Antonio and Austin, but has enjoyed a long musical career playing throughout the Caribbean and many other regions. A percussion major in college and an excellent set drummer, John has explored world rhythmic traditions by learning to play an impressive assortment of instruments he has collected from the far reaches of the planet. His new CD, entitled “Shades of Pan”, is being mastered now. It features a live jazz rhythm section with a Caribbean treatment to some classic tunes. John truly enjoys talking and communicating every day with pan people from around the world. He gets a special joy from helping beginners, professionals and steel band programs choose the superb pan instruments they need to realize their musical goals. Click here to check out John’s work at onemansteeldrumband.com!